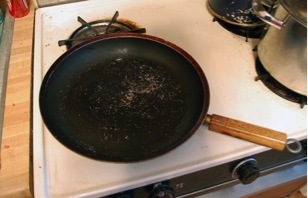 Cooks seeking alternatives to toxic non-stick cookware often find themselves in a bind. Stainless steel, which seems to be the healthiest alternative, is expensive, and it does not lend itself well to cooking eggs, pancakes and other dishes that non-stick cookware typically excels at. 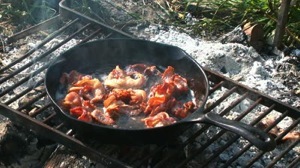 And frankly, according to the pros at Fine Cooking Magazine, if you're ever stuck on a desert island with just one pan, you'd better hope it's a cast-iron skillet. Whether searing, baking, braising, or frying, the pan's weight, nonstick surface, and heat-retaining properties make it the best choice in cookware. So if you haven't yet discovered the benefits of cast iron cooking, here are 10 reasons to buy and use a cast iron skillet (taken from an article from Natural News that came to me from a good friend). 1. 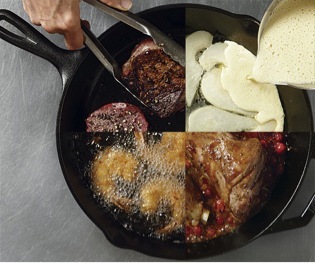 Replacing a non-stick skillet with a cast iron one allows you to avoid the toxic fumes that accompany most non-stick cookware. 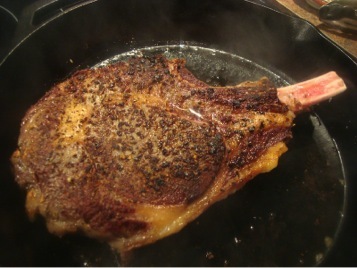 Cast iron can also replace aluminum cookware, which according to research, poses real health hazards. 10. It has been used for thousands of years. Sometimes new technologies are often the least healthy, while those used by earlier generations are often more beneficial and more in line with how we are designed. Our cookware choice is no exception. 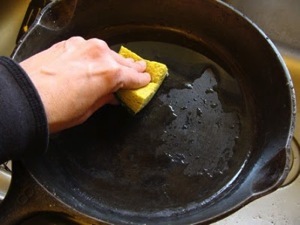 One last thought, a caveat: Although there are many benefits to cast iron cooking, make sure to understand the drawbacks before you start: cast iron pans are very heavy; they require intentional maintenance in order to keep them rust-free and non-stick; and care is needed if you have a glass-top stove. But once you take the plunge, you will wonder why it took you so long to start!